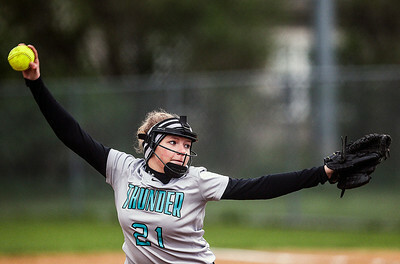 Sarah Nader- snader@shawmedia.com Woodstock North's Dakota Butler pitches during Wednesday's game against Woodstock at Bates Park May 14, 2014. Woodstock North won, 14-5. 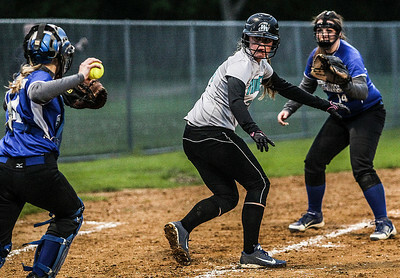 Sarah Nader- snader@shawmedia.com Woodstock North's Laura Nicks (center) runs back to third after trying to run home while Woodstock's Madeleine Ferguson throws to Woodstock's Shea Carzoli during Wednesday's game at Bates Park May 14, 2014. Woodstock North won, 14-5. 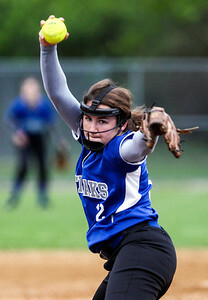 Sarah Nader- snader@shawmedia.com Woodstock Rachel Lohmeyer pitches during Wednesday's game against Woodstock North at Bates Park May 14, 2014. Woodstock North won, 14-5. 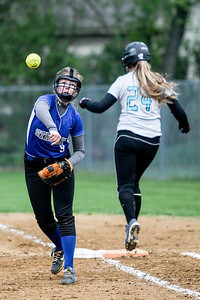 Sarah Nader- snader@shawmedia.com Woodstock's Samantha Baker throws to home while Woodstock North's Sierra Meiners is out at second during Wednesday's game at Bates Park in Woodstock May 14, 2014. Woodstock North won, 14-5. 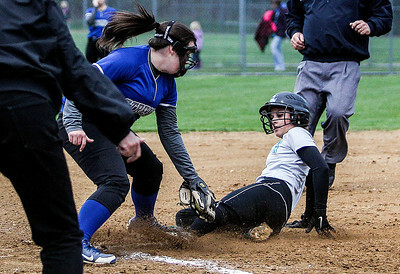 Sarah Nader- snader@shawmedia.com Woodstock's Shea Carzoli (left) tries to tag out Woodstock North's Sierra Meiners while she safely slides home during Wednesday's game at Bates Park in Woodstock May 14, 2014. Woodstock North won, 14-5. 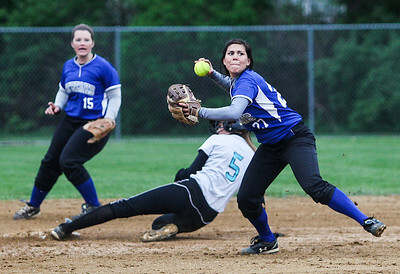 Sarah Nader- snader@shawmedia.com Woodstock's Amy Fischbach (left) throws to home while Woodstock North's Laura Nicks is out at first during Wednesday's game at Bates Park in Woodstock May 14, 2014. Woodstock North won, 14-5. Sarah Nader- snader@shawmedia.com Woodstock North's Dakota Butler cheers on her team during Wednesday's game against Woodstock at Bates Park May 14, 2014. Woodstock North won, 14-5. 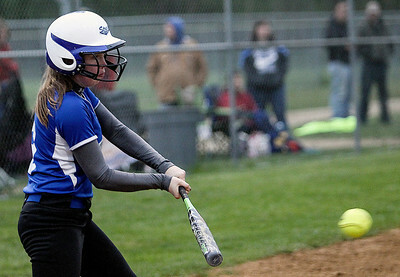 Sarah Nader- snader@shawmedia.com Woodstock's Amy Fischbach makes contact with the ball during Wednesday's game against Woodstock at Bates Park May 14, 2014. Woodstock North won, 14-5. 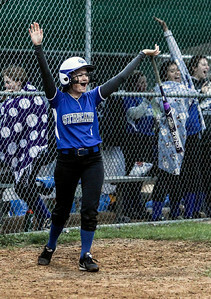 Sarah Nader- snader@shawmedia.com Woodstock's Sarah Kuespert celebrates a teammates home run Wednesday's game against Woodstock at Bates Park May 14, 2014. Woodstock North won, 14-5. 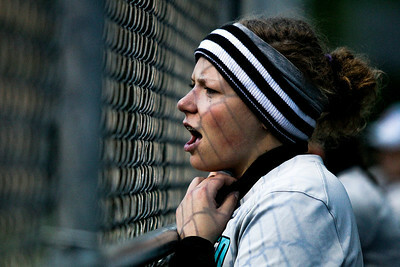 Woodstock North's Dakota Butler cheers on her team during Wednesday's game against Woodstock at Bates Park May 14, 2014. Woodstock North won, 14-5.